Tonight we have a trio of new videos that feature colorfully animated takes on the stories these songs tell. First up we have The State of Mind from Brooklyn indie band Caveman. The lush and brooding tune, with its tale of heartbreak and redemption, meshes well with visuals reminiscent of an 80s horror movie. Fresh off a sold-out tour opening for Frightened Rabbit, Caveman are embarking upon their own headlining tour. They'll play DC9 on October 22. Next up we have "Wild Child" from LA-based electro-pop duo Cardiknox. The video shoot within a video, an uptempo celebration of extended adolescence, features puppets-turned-piñatas and a dunking booth that malfunctioned during shooting. Cardiknox blew through town this past Tuesday, and are continuing their co-headlining tour with Phoebe Ryan. 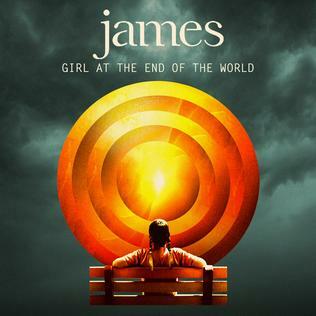 Finally, we have the obviously Tim Burton-influenced "Dear John" from venerable English rockers James. The "Madchester" scene veterans, best known on this side of the pond for the soaring college radio hit "Laid", are back with a new album, their fifth since reuniting in 2007. Gone are the innuendos and high-flying vocal acrobatics, replaced by pulsing synths and restrained vocals that sound both retro and modern.